Eficode and Silo.AI are revolutionizing software development through artificial intelligence. 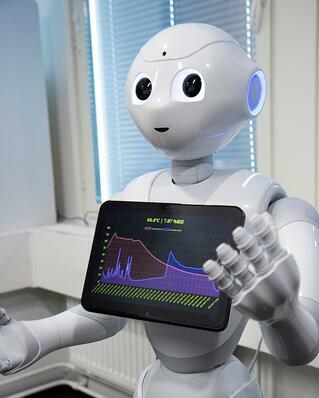 Leading Finnish digital service and DevOps solution provider Eficode Oy and private artificial intelligence laboratory Silo AI Oy are revolutionizing software development through artificial intelligence and machine learning. The aim is to bring artificial intelligence into the heart of software development and implement the first client projects during the spring of 2018. Eficode and Silo.AI are investigating the suitability of artificial intelligence in the development and deployment of digital services. Possibilities for artificial intelligence and machine learning are explored for service requirement management, software testing, continuous deployment and utilization of both real-time and historical data from production systems. Companies emphasize the fact that increasing the automation level in software development is vital for the entire digital product and service industry. "One of the key themes in our customers' transformation is increasing the degree of automation throughout the digital service lifecycle. The shortage of specialists limits the business opportunities of several companies. The situation is expected to deteriorate substantially in the next few years unless the industry is able to innovate new, significantly more efficient models than the existing ones", says Marko Klemetti, CTO at Eficode. Eficode and Silo.Al believe that implementing different forms of artificial intelligence into the core of software development is the next natural step towards achieving a performance leap. The aim is to, through the collaboration of Eficode and Silo.Al, identify the areas where the benefits of artificial intelligence can be utilized in customer projects during the spring of 2018. "By combining Eficode's industry leadership with Silo.AI's top-notch artificial intelligence expertise, we expect rapid results from the collaboration," says Tero Ojanperä, Managing Director of Silo.AI. "Bringing artificial intelligence to software development creates sustainable competitive advantage." Since 2005, Eficode has helped its customers to develop into better software companies.Since 2009, the company has purposefully brought forth DevOps models and methods, as well as modern technologies in the Nordic countries. Silo.AI (www.silo.ai) is a private artificial intelligence laboratory that creates customized artificial intelligence solutions for corporates as a service business. Silo.AI, a global leader in top-quality and intelligent software production, helps companies achieve a competitive edge by producing artificial intelligence as part of the company's core business processes. Silo.AI serves companies beyond the industry boundaries, acting as a strategic collaboration partner for international market leaders, the public sector and growth companies.